As part of our comprehensive packaging services, we offer graphic design. Our team approaches each challenge with the “4D” approach, keeping in mind not only your brand, and bottom line, but the impression on the end user and their interaction and brand experience with every package. Accepting your files on a variety of media, as well as over the Internet via email or FTP. Over 20 years of combined computer/digital pre-press experience to provide you with templates, PDF proofs, and press-equivalent target proofs for final approval. Art separation and enhancement anchored in a fully integrated digital workflow. 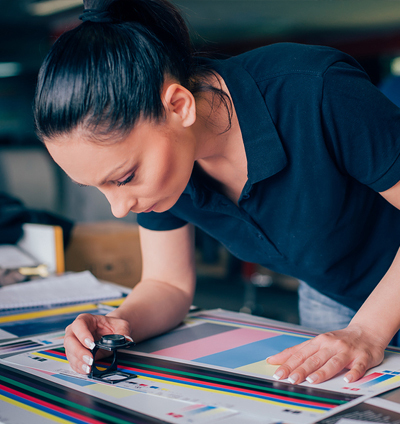 The production of high resolution digital plates incorporating flat-top dot technology for higher ink densities, cleaner reverse type, and minimum dot gain for greater consistency when printing fine screens and process images. Let our graphic design department bring your packaging vision to life! Jet Packaging Group is poised for growth. By humanizing a customer-centric, relationship-driven brand, we aim to be the go-to packaging partner for midsize to enterprise-size companies across multiple industries.